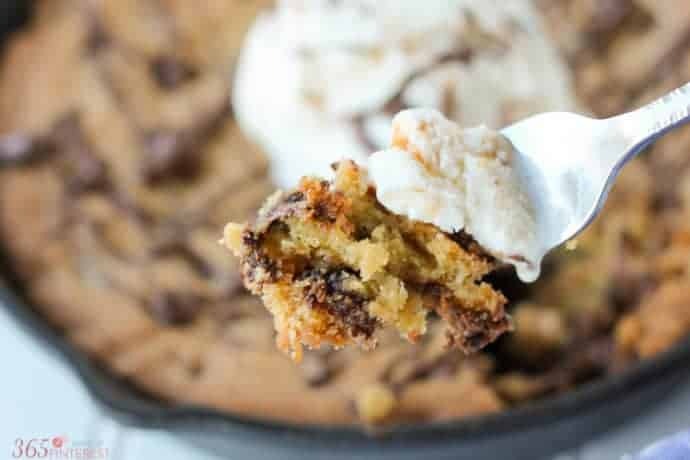 Indulge in a little “me time” with this decadent Chocolate Chip Skillet Cookie! Crispy on the edges, soft and chewy in the middle, it’s the perfect sweet treat. This is a sponsored conversation written by me on behalf of Real Simple®. All opinions are my own. 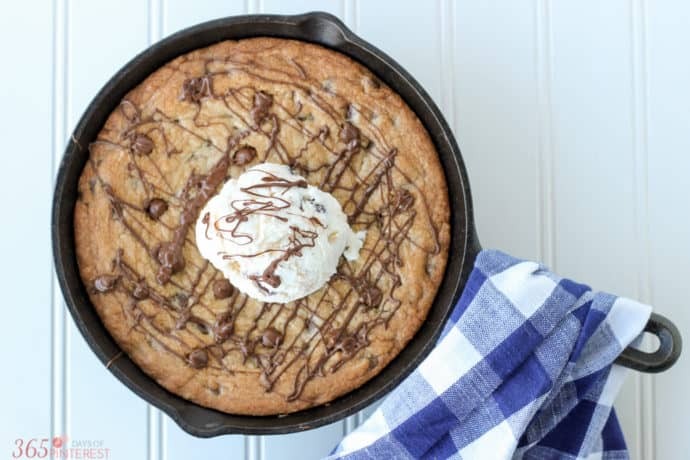 One of my favorite desserts EVER is the Pizzookie from a certain restaurant we’ll call “CK’s” in case their legal team happens to be reading my blog. 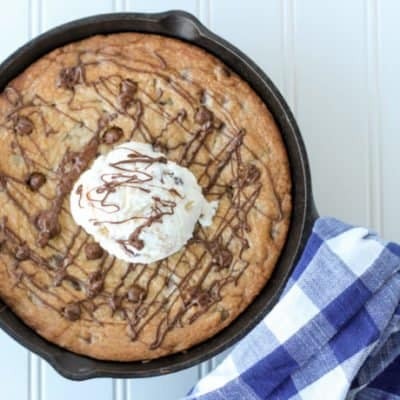 😉 It’s a cookie pizza that’s baked in a mini pan and then topped with a big dollop of ice cream. You can order chocolate chip, peanut butter cookie (blech) or TRIPLE chocolate, which is a chocolate cookie with chocolate chunks and chocolate ice cream. That one is a bit much even for me. However, I can’t believe that until now I’ve never made a homemade version of the Pizzookie! 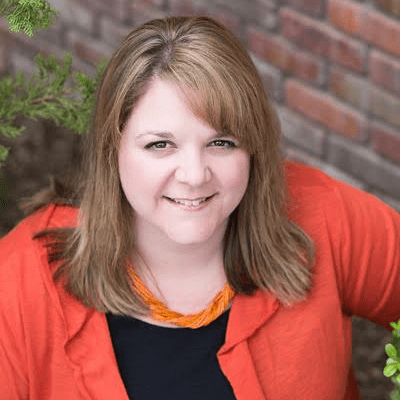 If you’ve been a reader here for a while, you know how much I love chocolate chip cookies! So for my own version, I made a Chocolate Chip Skillet Cookie in a mini skillet. Oh, and just so you know…it’s DELICIOUS. I was actually inspired to finally try this recipe because of the latest issue of Real Simple magazine. I picked it up at the checkout stand at Albertsons this week. You know when you’re standing in line, wishing you’d chosen another checkout lane because the lady in front of you is digging around for coupons and writing a check? That’s when I do most of my magazine reading. 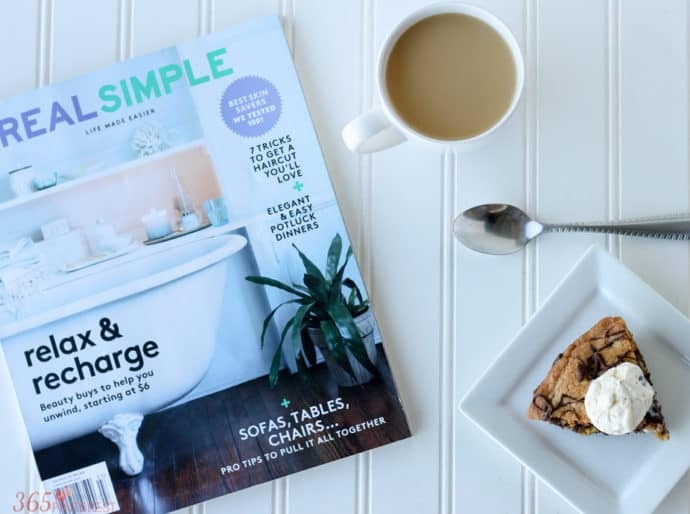 I peruse the covers, flip through a few for the latest Hollywood gossip that I care nothing about, and drool over delicious looking recipes that are supposed to help me “lose 10 pounds in 2 weeks.” The cover of this edition of Real Simple just pulled me in! Relax and recharge. Truly, my idea of relaxing and taking some “me time” is curling up with a fun magazine, some coffee (a newer love in my life,) and something sweet to eat. Having a few quiet moments to lose myself in glossy pages stuffed with inspiration is wonderful. In a medium bowl, cream butter and sugar together until fluffy. Add the egg and vanilla and mix until blended. In a small bowl, sift together dry ingredients. Slowly add to wet mixture and mix until well incorporated. Bake at 350 for 20-23 minutes, until golden brown and set in the middle. Drizzle with chocolate and serve warm with ice cream! Oh man. Just look at that fluffy, chewy, chocolaty deliciousness! I used a very similar recipe to my Perfect Giant Cookie Pizza (a birthday party favorite around here.) I like that this is a smaller recipe so it’s gone in one sitting. I literally have NO will power when it comes to chocolate chip cookies, so it’s best not to have them sitting around in any way shape or form. 🙂 I also love that I finally got to use my cute little cast iron skillet! My husband bought it for me for Christmas last year in hopes of getting some delicious dessert and then I put it away and forgot all about it! Well, no more. It now has a use that is noble and just. 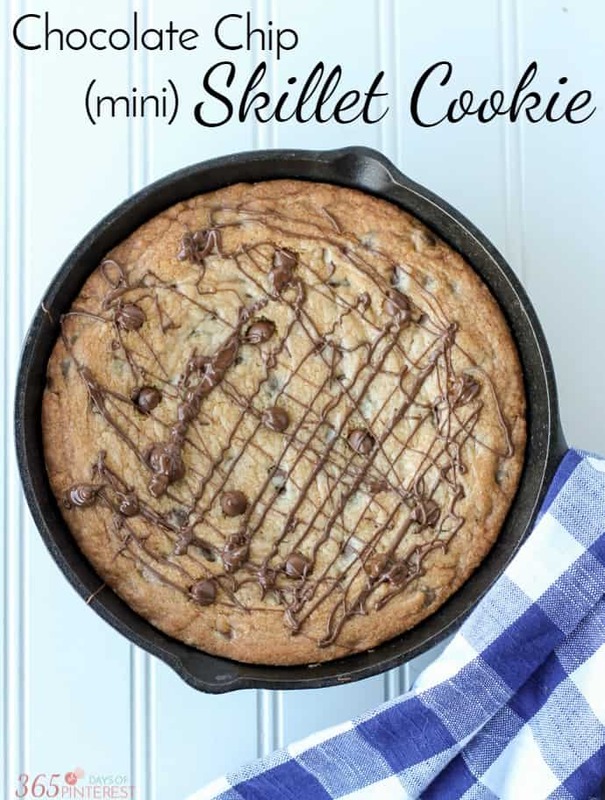 Perfecting cooking my Chocolate Chip Skillet Cookie.